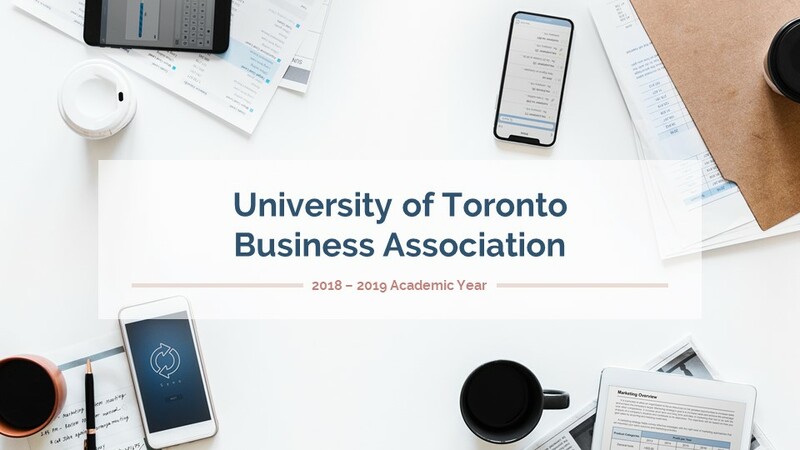 The University of Toronto Business Association (UTBA) is a non-for-profit student-run organization which aims to bridge the gap between the academia and business world. Our mission is to create a central hub for students who are passionate about business across different disciplines. We provide education about different business areas and concepts, introduce relevant career opportunities, teach essential skills to excel in these fields and help students practice such skills in professional settings. Most importantly, by creating an advanced network of peers, alumni and reputable industry leaders for our students, we provide them the chance of continuous growth along their career paths. We achieve our mission through organizing speaker panels, workshops, networking sessions, annual conferences and case competitions throughout the year. Through the conferences, seminars and events, UTBA will aim to achieve these goals by bring various business professionals and past alumni into the school to present their stories and ideas to the students. This will hopefully motivate and engage our members to work together and be driven towards a successful future.